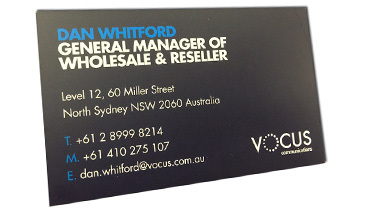 Good quality business cards are ideal to start a relationship with your clients and prospects. Our Standard Business Cards look good without the big cost and at the same time set your company standards in the mind of your client.At Absolute Colour Printing, our graphic designers will create your business card design. 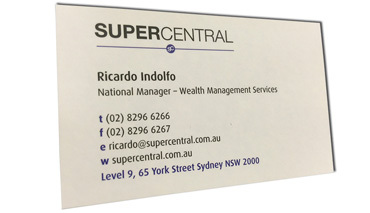 From very simple and classic design right through to multiple embellishments such as foil stamping, spot uv varnish, emboss and deboss.For standard business card printing, call Absolute Colour Printing Sydney 1300 88 99 59 or simply fill in our contact form and we’ll be in touch very quickly. 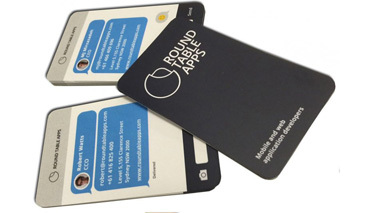 Business card printing – 48-hour turnaround. 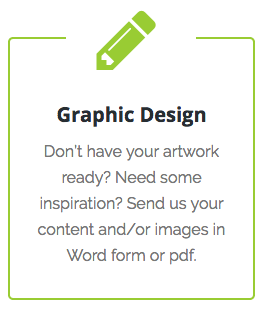 Simply approve your design and layout by 11AM and receive your cards 48 hours later. 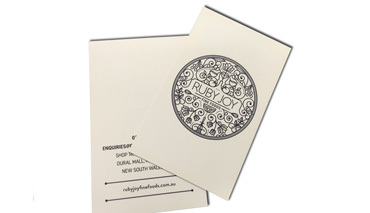 Printing business cards in Australia is quick, inexpensive and fun! Our print supply chain is clean, sustainable and environmentally friendly. We work with leading edge printing technology using offset and digital printing presses. 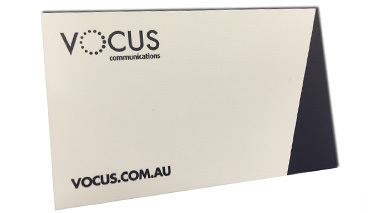 Business cards are still a vital part of business communication. 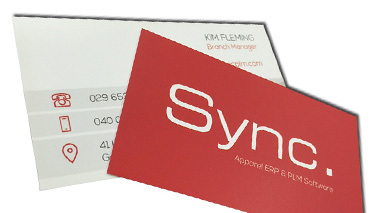 The quality and feel of your business card goes a long way to making a lasting impression. Leaving your business cards in locations to benefit your business is one way of making connections with more people. 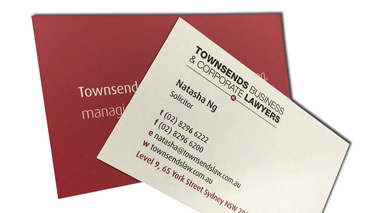 Absolute Colour Printing for fast standard business card printing services in Sydney. • Order by 11am – receive your cards 48 hours later! 1) Plain, gloss laminated and matt laminated cards. Premium quality card stock, 420gsm. 2) Full colour high resolution lithographic printing. If you want cheap business card printing, you maybe able to find cheaper, but you won’t find faster service or premium quality. We guarantee our printing – free replacement for any faults at all!